You are here: Home / Ask the Fedora / Is it Okay to Be Nervous at Networking Events? Is it Okay to Be Nervous at Networking Events? Today our #AskTheFedora video looks at the fact that it is okay to be nervous at networking events! My favorite thing about networking is meeting someone for the first time. I can tell so many people are nervous about networking and are scared because the social conventions of the day-to-day don’t really apply at networking events. So one of my favorite parts at networking events are meeting somebody for the first time who has never been to a networking event before. I can tell they’re nervous and fidgety and want to give me their business card. So what I try to do is calm them down as I’m in a position to lead the conversation to have them talk about themselves and hopefully learn something about it. For me, it’s such an important skill to how to engage somebody at a networking event. 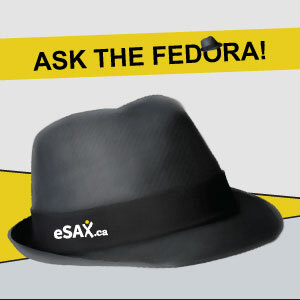 http://esax.ca/wp-content/uploads/2015/04/eSAX-ASK-The-Fedora.jpg 300 300 eSAXnetworking http://esax.ca/wp-content/uploads/2016/11/eSAX-2016-logo-200.png eSAXnetworking2015-04-05 00:34:062015-04-05 00:34:06Is it Okay to Be Nervous at Networking Events?